Check out the results of Joebert Alvarez vs Miguel Cartegana weigh in. 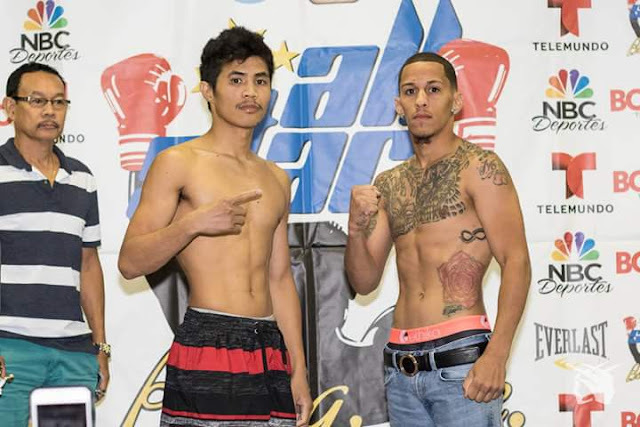 The Filipino boxer weighted in at 113 lbs while his opponent weighted in at 111.5 lbs. The fight is scheduled for 6 round non-title fight in the Flyweight division. Joebert Alvarez vs Miguel Cartagena will be held at Kissimmee Civic Center, Kissimmee, Florida tomorrow July 16 (PHT).